While our easy lavender bath bombs are completely lush I’m not a regular soak in the bath kinda gal, and I got to thinking about what an amazing wake up call it would be to have a shot of peppermint in my shower! 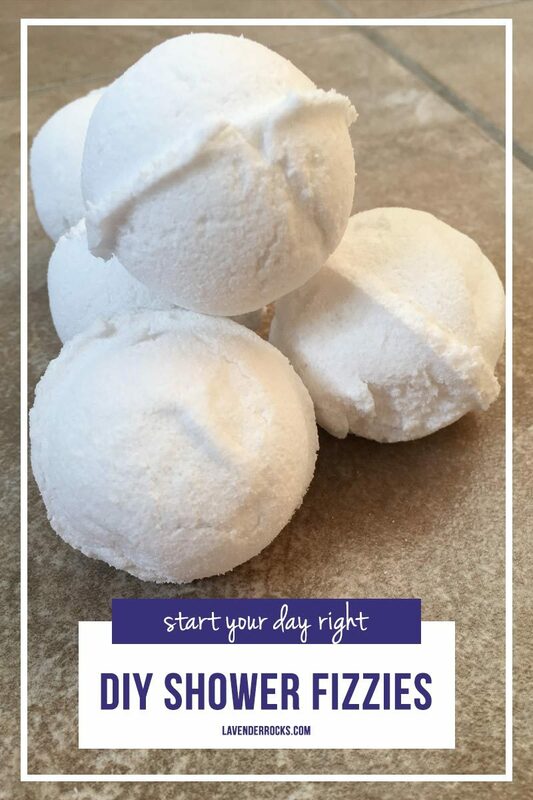 So I tinkered around with the recipe a bit to figure out how to make shower bombs (or shower fizzles) that smell amazing and are also good for clearing your head in the morning! 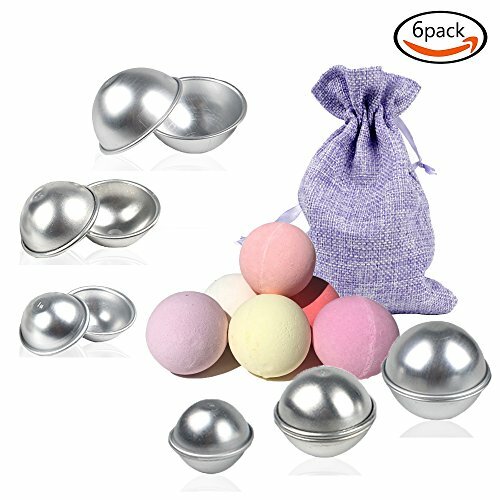 Bath Bomb Mold Set Put the baking soda and citric acid into a bowl. Put the water and essential oils into a spray bottle. Spray the dry ingredients with the water/oil mixture and mix with a spoon until it starts to combine. Form balls with your hands and then the bath mould. Then set aside to dry for 12-24 hours. Store your shower bombs in a glass jar away from direct sunlight and use them within three months. There’s no need to use coconut oil in this recipe since it’s just going to be giving off a scent rather than moisturising your skin. So we use water to bind the dry ingredients together. There is a lesson to be learned here so read this bit carefully. You need to add the water a LITTLE bit at a time. Like even a TINY bit at a time. It’s like making glace icing for cakes. You know how you add the water to the icing sugar and it doesn’t seem to be turning into anything resembling icing so you keep adding more and more water until suddenly it’s so runny you can’t possibly use it to ice your cake? You run the same risk here! I started out just misting the water on with a spray bottle but it didn’t seem to be mixing together so I took the lid off and poured the water into the bowl. Of course by doing that I missed the “magic moment” when the mixture went from being too dry to being too wet. Only it’s not really noticeable. Then I put them aside to dry and when I came back I just had a purple splat left. And now I know what happened to Frosty the Snowman! I figured I’d just have shower bark instead of shower bombs so I broke a piece off and dropped it in the bottom of the shower. Nah. Didn’t really work. It was just so thin that it melted away before that peppermint scent had a chance to rise up and wake me up! Not to worry, I threw a piece down the toilet and it worked out much better as a toilet fizzy! So the moral of the story is… add the water a LITTLE bit at a time and stir, stir, stir before you add a LITTLE bit more. Use a spray bottle so you can’t go crazy. Then every now and then use your hands to see if you can get the mixture to stick together. The point at which it is ready to mould into balls is when it sort of sticks together but is still a bit powdery. 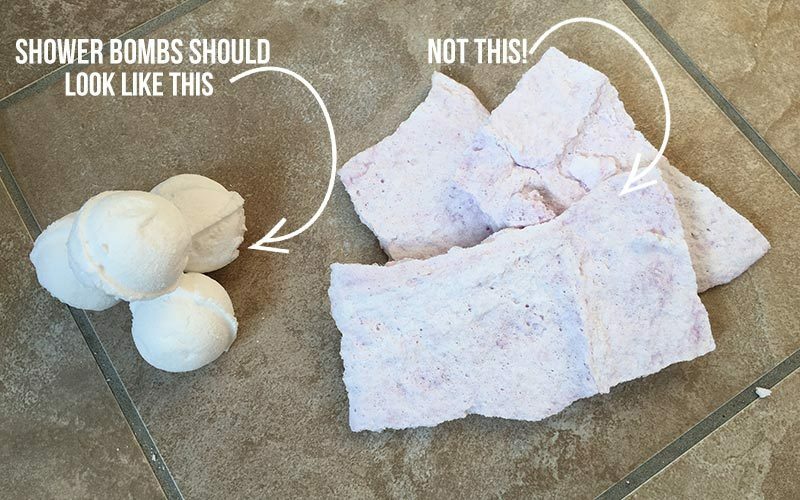 When you get to that “magic moment” you can grab some of the mixture and form a ball with your hands first and then use the bath bomb mould to pack it into a tighter ball. 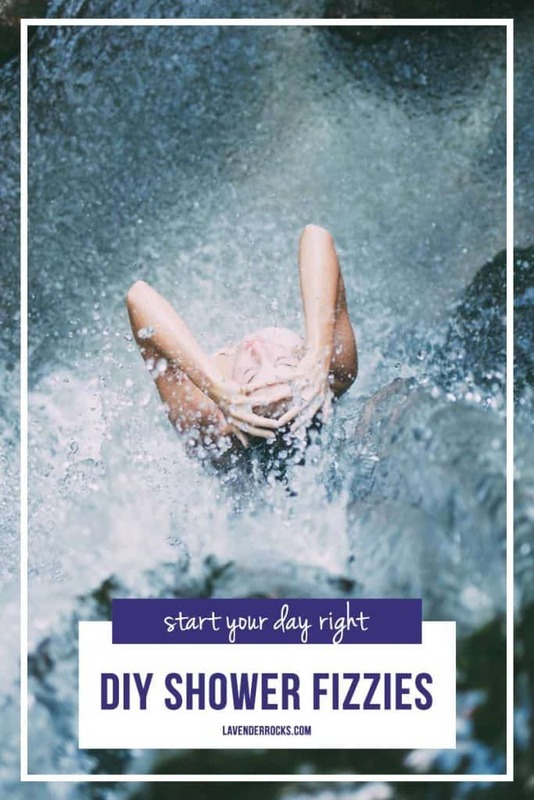 To use your Shower Bombs just drop one into the bottom of the shower, it will fizz away giving off a fabulous peppermint smell to kick start your day! You can use any combination of essential oils you like in your shower bombs. Try one of these instead of the Peppermint. All of these oils come in the Premium Starter Kit so making shower bombs a great way to start getting to know your your oils. Or you could host a Make and Take for your friends to introduce them to the oils too! Disclaimer: These statements have not been evaluated by the Food and Drug Administration. This information is not intended to diagnose, treat, cure or prevent any disease. The information on this site is not intended or implied to be a substitute for professional medical advice, diagnosis or treatment. Please confirm any information obtained from or through this web site with other sources, and review all information regarding any medical condition or treatment with your physician. Never disregard professional medical advice or delay seeking medical treatment because of something you have read on this website. Previous PostPrevious These Witch Halloween Decorations Will Be the Talk of Your Party! Next PostNext Easy Chicken Alfredo Recipes the Whole Family will Love!